With a few hours to spare before a dinner meeting, we stepped inside the Newberry Library, got library cards and perused the premises. 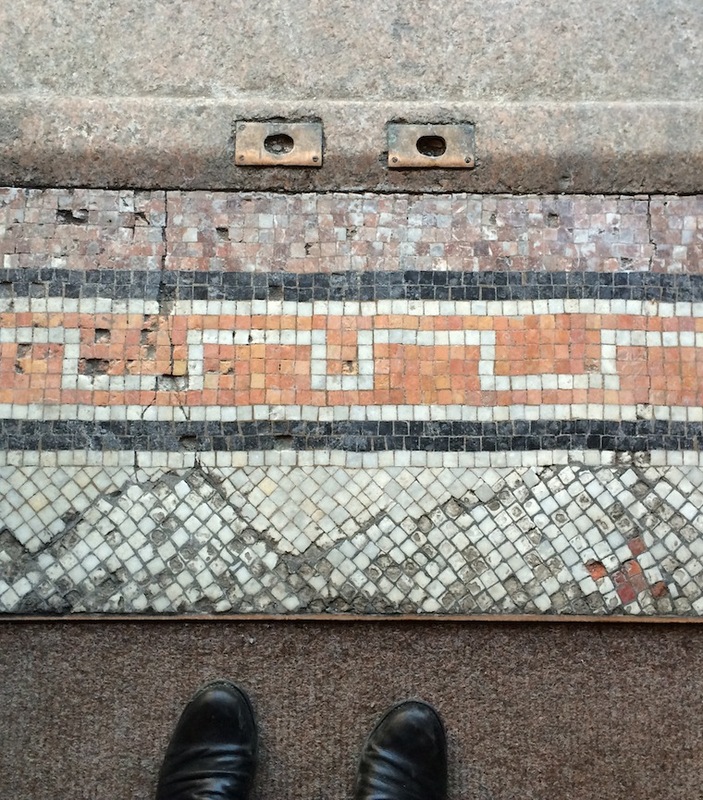 Loved the mosaics as we walked in- a worn pattern of color and repeats- felt like an art piece with a memory and wounds of time randomly preserved in the tiles. After I took a few brief scrolling s through various data bases in the library, the building closed it’s doors for the night. On the way out I caught a few glimpses of more pattern in the old card catalogs, the banister of wood and metal, the windows in the stairway and the beamed ceiling sporting a light fixture I loved. Reflected in the mirror, is the door to my friends studio at the Palette and Chisel!